Transform your home and your schedule so they perfectly meet your current needs and reflect who you are and what you value now. Changes and life transitions often leave people with unbalanced schedules and homes full of obsolete items. 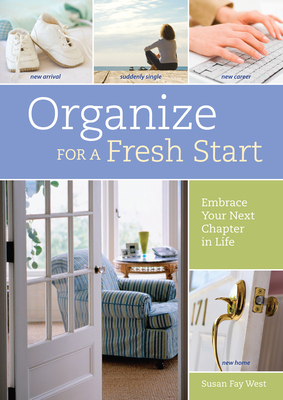 Certified Professional Organizer(R) Susan Fay West shows you how to make room for your new interests and responsibilities while honoring your past. Susan Fay West owns Space4U and assists people who have experienced life transitions by helping them downsize, organize and simplify their personal and business lives. She is a Certified Professional Organizer(R), and a member of the National Association of Professional Organizers (NAPO), NAPO-Golden Circle, and the National Study Group on Chronic Disorganization. She frequently speaks about organizing to various groups and associations in New Hampshire and is often quoted as an organizing expert for local media in her home state. Her website is www.OrganizeNH.com and facebook.com/SueWestSpace4U.